Back in 2010, under pressure from LGBT activists both outside the organization and within their ranks, the Boy Scouts formed a committee of eleven “volunteers and professional leaders to evaluate whether the policy was in the best interests of the organization.” The committee “included a diversity of perspectives” and engaged in “extensive research and evaluations.” The makeup of the committee and what they studied continue to remain secret. Gays, lesbians, bisexuals and transgender individuals subscribe to those very values. However, as the military found out with Don’t Ask, Don’t Tell, it can be difficult to live them when you are forced to hide an essential truth about yourself. 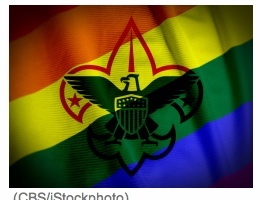 Perhaps this is now the time for the Boy Scouts equality movement. Many political movements were started by someone making a personal stand against unfair rules and unjust laws. For example, Rosa Parks’ refusal to move to the rear of the bus launched the civil rights movement. They already have a few activists already. Zach Wahls — the Eagle Scout who famously and movingly testified about his two moms during a hearing on marriage equality in the Iowa legislature. Lesbian Mom, Jennifer Tyrell who was forced out of the leadership of her son’s Tiger Scout den after six months of hard work and praise from the other parents in the troop when she complained about financial irregularities. And, most recently, 19 year old Eric Jones, an Eagle Scout and camp counselor for the Boy Scouts in Missouri, came out to the camp director was fired. Jones said that while he knew of the Boy Scouts policy against homosexuality, he thought that the director “would overlook it” because he had been working at the camp for nearly five years. By practicing inclusion, the Girl Scouts serve as a safe place for young girls to grow into themselves without fear of being abandoned or discriminated against. It is time for the Boy Scouts to realize you can’t teach kids to be better adults by teaching them to hate or discriminate. We’ve all heard about the war against women. What hasn’t gotten the same amount of press is that the war goes beyond reproductive health to an attack on women’s most basic civil rights. Women’s suffrage was by no means global when the United Nations Universal Declaration of Human Rights was adopted in 1948. Article 21 of that document declared that everyone has the right to take part in the government and that the will of the people (which shall be by universal and equal suffrage), expressed in periodic and genuine elections, shall be the basis of the authority of government. You would have thought the issue of our constructive participation in the political process would be fait accompli, the done-est of done deals. You would have thought wrong. They are just the latest wave in an all out assault on women voters. Across the nation, there has been a concerted effort by Republicans to disenfranchise voters. These laws will have a detrimental impact on women. Since the beginning of 2011, at least 180 bills restricting voting rights were introduced in 41 states. While identification requirements for voting are certainly not new, many states have prohibited once-acceptable identification such as student IDs, Social Security cards, utility bills and bank statements in favor of the “strict” or government-issued photo IDs. There are several factors that contribute to a person not having a current and valid photo ID. Such documents expire. Some voters do not drive, therefore a state-issued drivers license is not necessary. Voters move and are unable to obtain new ID prior to registration or Election Day. 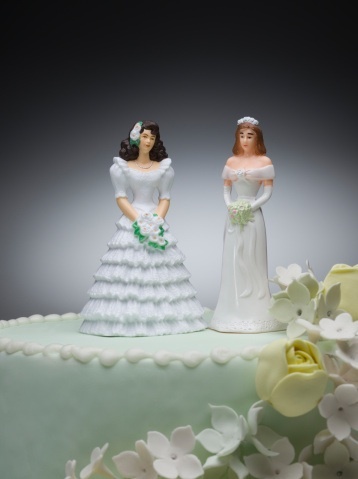 Strict photo-ID requirements and proof-of-citizenship laws particularly affect women who change their name after getting married or divorced. Because updating documentation takes time and money, these laws create an additional barrier for low-income women. According to the Brennan Center, only 48 percent of voting-age women with ready access to their U.S. birth certificates have a birth certificate with their current legal name. The same survey showed that only 66 percent of voting-age women had ready access to proof-of-citizenship documentation with their current legal name. The transgender community is also greatly affected, since many of those who have transitioned to another gender are unable to update their IDs to their current gender because of difficulty satisfying state requirements on changing gender markers. According to a recent national survey, only 59 percent of trans people have updated photo IDs. 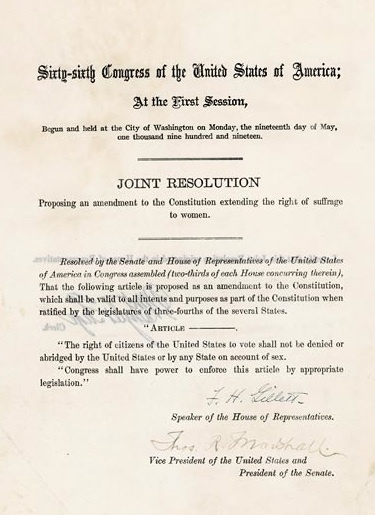 So why do some folks wish that women didn’t have the right to vote? Why, in the face of virtually non-existent voter fraud, do the Republican continue to push to keep women away from the polls? Simply put, the numbers don’t lie. Women have been a majority of the total vote in every election since 1984. According to poll data from the Pew Research Center, women comprised 53 percent of the overall electorate in 2008, 54 percent in 2004 and 52 percent in 2000. And Republicans haven’t fared well with women voters. The same poll data shows that if you lose the women’s vote by any more than 11 points, it’s difficult for a Republican to get elected to the White House. Not since 1988 has a Republican presidential candidate won the women’s vote. Electing tomorrow’s decision makers begins with us today. Because if you don’t vote, you don’t count. Don’t just get mad, get registered and vote! Participating in democracy by voting is just one part of how the citizens of a community and nation can make change. The part that is often overlooked, or under appreciated, is that your voice can make a difference. Use the summer months for more than a holiday from the daily grind – use the time to constructively engage with your elected officials. In July and August, take the time to share your thoughts with the people who represent you in the Louisiana legislature and in Washington. 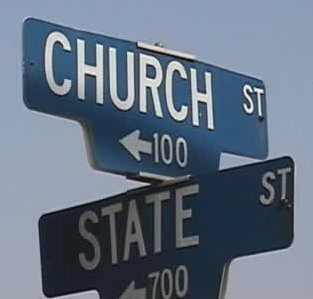 The Louisiana Legislative session ended in June and you can meet in person with your elected officials when they are in their district offices. In August, the United States Senate and House of Representatives have a session break and many will come back to their home districts then. Visit www.legis.state.la.us/ or www.house.gov or www.senate.gov/ to find contact information for the local office of your congressperson. You can also use these sites (or Open Congress) to refresh your memory about how they voted on pay equity, anti-bullying, education, abortion, or other bills of particular interest to you. Call and ask for the scheduler and set up a date and time for the meeting. Don’t be disappointed if the first time you can only get a meeting with a staff member—be aware that many legislative aides wield considerable influence. Be sensitive to their time constraints and only plan on 15 minutes for your presentation. Many times they will set up blocks of thirty minutes but might be running late or want to talk about something else first. Be polite but firm to express the essentials of your point of view in the time allotted. Have a few written points that you want to convey at the meeting. Sharing your personal story will usually prove most persuasive, so don’t rely entirely on facts and statistics. If your elected official has been in opposition, prepare a few rebuttal points for the most likely arguments they may use against you. If your elected official is supportive, thank them and let them know if you are available to testify on behalf of this issue when it comes before committee. Make sure your address and other contact information are with the packets so they know whom to contact for more information. If there are groups or organizations ready to mobilize on this issue, include that information, as it shows that you are not alone. Collect business cards from everyone in the room and remember to send a thank you note after your meeting. Follow up with them prior and during the next legislative session, so that they know that you are a committed constituent. In Civil Disobedience, Henry David Thoreau wrote: “Cast your whole vote, not a strip of paper merely, but your whole influence.” I hope this post will help you use your whole influence on your elected representatives this summer.